Military vet Colin Wayne goes from high school dropout to running his own 8-figure business. -How he started Redline Steel and what lead to him starting the company. -Seeing opportunity in unlikely places. -Know your core audience and keep that in mind as you expand. -How he is looking to continue scaling and potentially exit the company in the future. -Believe in yourself. Build a solid team with clear accountability. Don’t be solely dependent on one mode of marketing. Find your sweet spot and make it work for your business. Your customer base potential is endless, don’t let yourself be stunted. 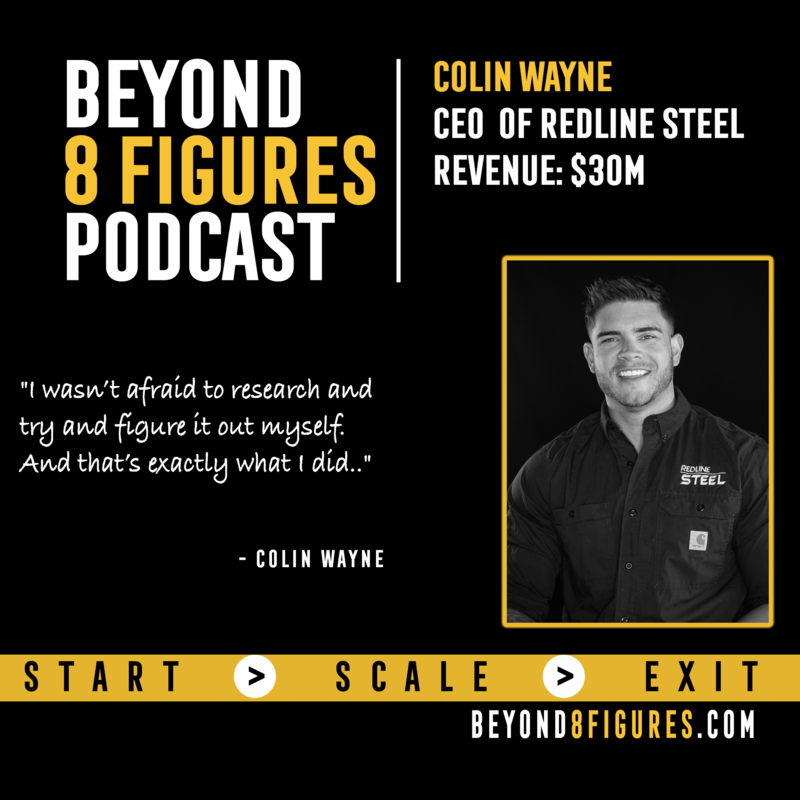 About Colin Wayne: Colin Wayne is the 29-year-old CEO of Redline Steel. He is a high-school dropout and military combat veteran who was injured by an enemy rocket attack in Afghanistan. He has not let those injuries set him back. Since then, he has gone on to be a male fitness cover model, social media influencer, and now he has built a multi-million-dollar home decor steel manufacturing business with plans for sister companies to continue serving his customers to launch within the next year. He looks to the future and pushes forward with integrity, service, drive, and courage. He is not afraid to dream big and go all in.